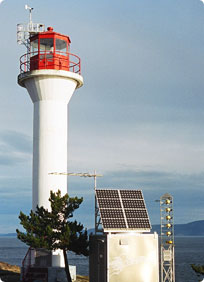 Azimuth was overall project manager and technical lead for this assignment assessing the potential ecological (terrestrial and aquatic) risks from metals and hydrocarbon contamination (soils and groundwater) at 27 staffed lightstations of the Pacific Region, as part of the Canadian Coast Guard’s Lightstation Rejuvenation Project. Initial cost estimates for remediation of these remote sites were very high, thus warranting serious consideration of risk-based management. Along with members of an expert panel of risk assessors, Azimuth staff designed an ecological risk assessment (ERA) strategy that took advantage of the common risk issues, operational history, receptors and biophysical features among the sites to streamline the risk assessment process. The ERA results showed only a few cases where risk estimates were sufficiently elevated to warrant additional data collection (i.e., to reduce uncertainties) or remediation (i.e., to reduce exposure). Overall, implementation of this novel strategy supported our clients in making risk-based management decisions regarding existing contamination at their facilities.